This article, written by Kevan Zunckel, first appeared on the Verdant Life blog. For many nature lovers, and especially those who dedicate their lives to the conservation of nature, it is clear that the fight to ensure that precious natural areas and the species that survive within them persist is an on-going battle. It is also clear that although there may be victories along the way, we seem to be losing the war. This may sound like a pessimistic outlook but it is unfortunately the reality that we face. In KwaZulu Natal we are losing natural land cover at a rate of approximately 1% per annum, and with almost 50% of the province’s natural land surface already lost to various forms of development and transformation, all will be gone by approximately 2050 if our business as usual approach to life is allowed to continue unchecked. One of the lessons that many conservationists are learning from this is that while the traditional arguments in favour of nature conservation are valid in their own right, they are not finding traction with most of society and most of our decision-makers. In response to this conservationists are increasingly embracing the need to ‘package’ nature in a way that demonstrates its value to society and the economy. Ezemvelo KZN Wildlife has embarked on a journey of doing just this by using resource economic techniques to put a value on the province’s natural areas to try and convince the Provincial Treasury that they are worthy of budget support. This journey was launched a few years ago with figures that put the value of the Province’s biodiversity at approximately R150 billion. The success of this campaign still needs to be seen, but this direct approach of placing a monetary value on nature has drawn criticism from many quarters. However, there are other ways of ‘packaging’ nature so that more and more people begin to see and appreciate its value, and this is to acknowledge that nature produces and provides a wide range of goods and services upon which humanity’s survival is hugely dependent. It is unfortunate that in our fast pace, throw-away, convenience-oriented way of life; many have lost touch with the fact that without these natural goods and services, provided to us by nature free of charge; we end up carrying the cost of the consequences of our neglect. 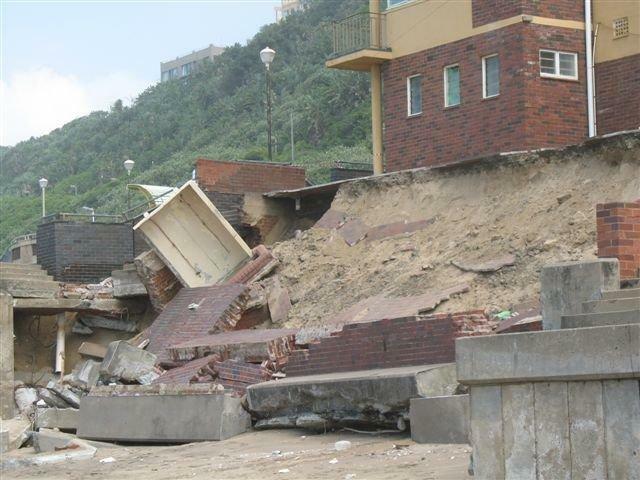 A classic example of this was the massive impact of the storm surge that was experienced along the KwaZulu Natal coast in March 2007 where homes and infrastructure along the coast were badly damaged, while further down along the untransformed Wild Coast, the only evidence of the unusually high seas was foam way up on the grasslands above the rocky coast line. Nature had endured the storm with no cost, but where nature had been replaced and encroached on, the cost was extremely high. Moving away from the coast and further inland, but still in KZN, an increasing awareness of the inability of the uMngeni River system to meet the demand for water in Pietermaritzburg and Durban has seen authorities investing large amounts in engineering projects designed to alleviate the situation such as bringing water from the adjacent Mooi River catchment into the uMngeni. First the Mearn’s Weir and now the Spring Grove Dam are in place to do just this, but the projected demand is already close to what these investments can manage to supply. 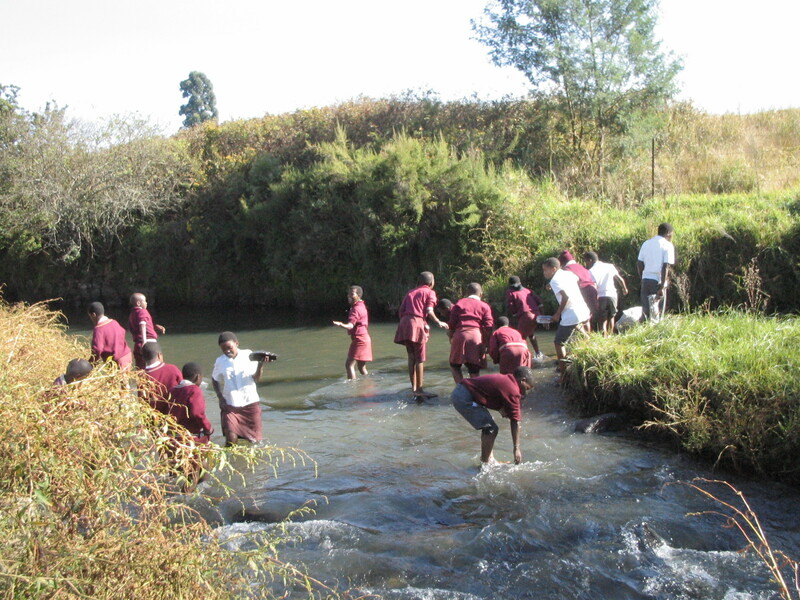 Consequently more dams are planned on the Mkomazi River, also at significant cost. What has not been factored into these supply – demand strategies is that relatively little is being invested into making sure that the land surfaces upon which the rain falls, infiltrates the ground, recharges the water tables and feeds these rivers; are in prime condition and able to function optimally. 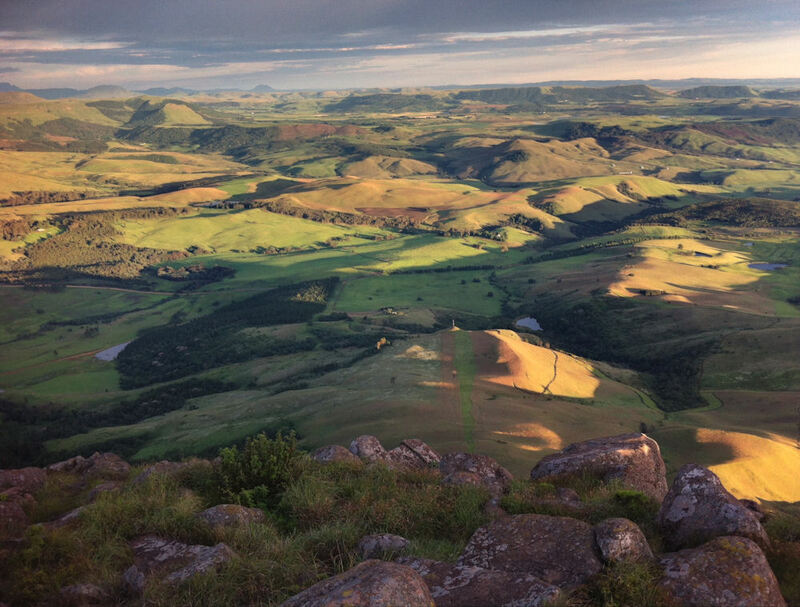 What are being referred to here are the natural water catchment services that the grasslands, wetlands and forests of the high and middle altitude areas of KZN offer to society. All one needs to do is experience a thunder storm in the uKhahlamba Drakensberg Park World Heritage Site and see the swollen rivers full of water that is still clean and free of sediment; and then to experience the same not far from the boundary of the Park where there are settlements and/or farming to see how different the situation is. 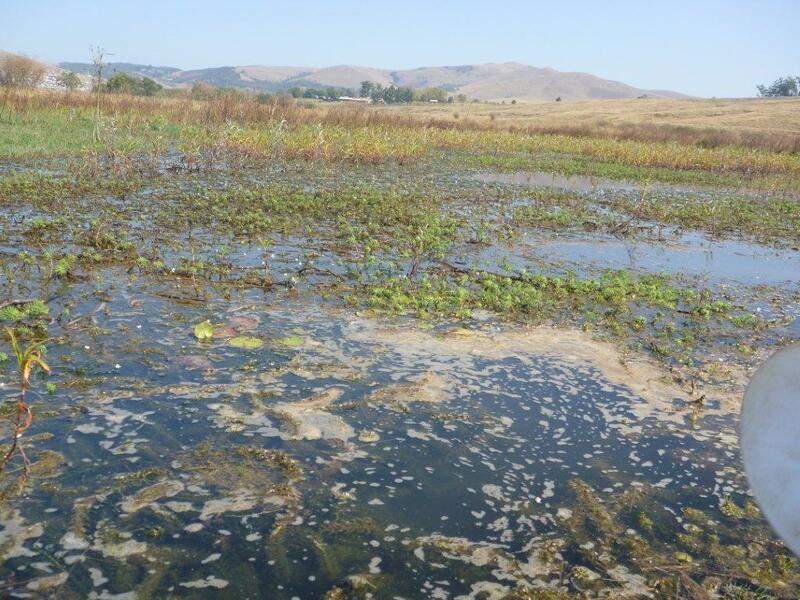 Worse still is to look at the water quality data that is regularly captured and reported on by Umgeni Water that shows us that the upper reaches of the uMngeni River are heavily polluted and that the good quality water of the Midmar Dam that hosts the world’s largest open water swimming event, is under threat of becoming as bad as the Hartebeespoort Dam. 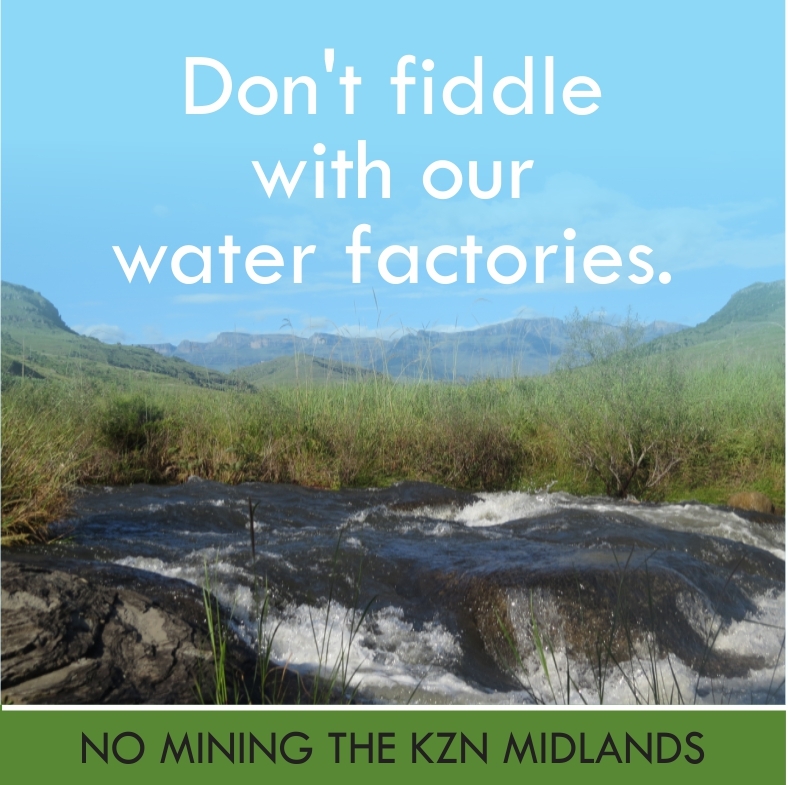 Fortunately the South African National Biodiversity Institute (SANBI) has embarked on a campaign to aggressively ‘market’ the value of nature to decision-makers, and they have succeeded to do this in the uMngeni River catchment by showing authorities that by investing in the natural areas of the catchment, it is possible to significantly increase the efficiency of both the existing and planned water supply and treatment services of the relevant authorities. Such investments will entail the management of natural land cover in the catchment so as to retain their optimal capacity to deliver water catchment services, to restore degraded and drained wetlands, to reinstate riparian areas that have been encroached on by agriculture and urban development, and to integrate natural areas back into the urban environment so that rainfall runoff can be better managed and delivered into the stream and rivers of the catchment. Where nature is maintained in a catchment situation it will help to reduce the risk of floods and flood damage, it will act as a natural filter to trap sediments and other impurities thus ensuring that water quality does not decrease to the current levels that prevail in the whole of the uMngeni River system, it will ensure that rainfall is optimally absorbed into the system such that flow rates in the dry season are sustained at levels much greater than they are today. This will also ensure that there is a greater volume of water in the system which will help to dilute impurities and reduce the risks of water-borne disease. The converse of each of these benefits bring about costs to society, many of which most of us are unaware of, unless you are not privileged enough to have treated water piped to your home and you have to draw it directly out the river. Or if you have to cross a swollen river to get to school, or have nowhere else to build your home but in a flood plain and live in fear of the next flood. Currently the city of Durban spends in excess of R100 million a month to treat water to a potable standard. SANBI have spent approximately the same amount of money over the last 10 years working on the restoration of wetlands in the catchment. A more direct illustration of the value of such work is to be found below the Albert Falls Dam where the Working for Water programme has invested in the restoration of the riparian zone of the uMngeni River. Upstream of this restored area is an intensive livestock production facility which is responsible for reducing the quality of the water in the river to a very poor level. However, 20km below this facility the water quality is back to a natural standard with no other intervention but the restoration of the riparian zone through alien plant clearing. Based on this illustration and the costs of the restoration it is possible to say that for 10% of Durban City’s monthly water treatment spend, almost the entire length of the uMngeni River could be restored and maintained. If such an investment could be secured on a long term basis, the natural, social and economic benefits for KZN would be enormous. In recognition of these benefits SANBI, in partnership with the Department of Water Affairs, Umgeni Water, and the water service authorities of eThekwini, Msunduzi and uMgungundlovu; as well as a host of other relevant stakeholders; have established the uMngeni Ecological Infrastructure Partnership. 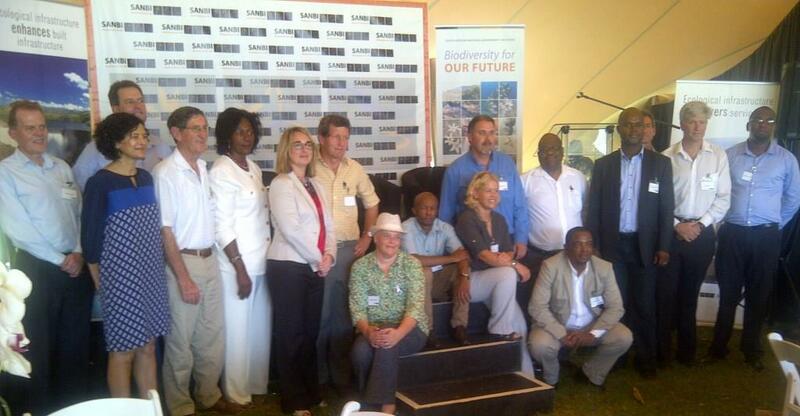 This partnership aims to enhance water security in the greater uMngeni River catchment, i.e. 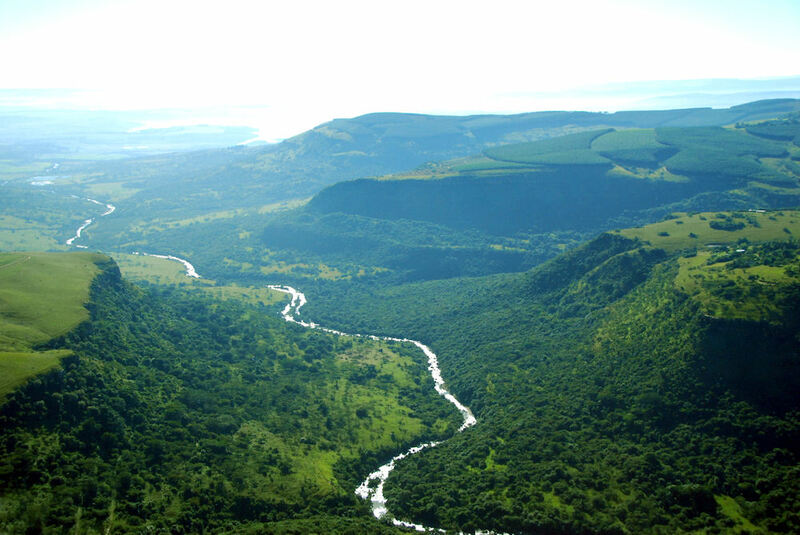 including the upper Mooi and Mkomazi River catchments, by facilitating and coordinating investments into what has come to be known as ‘ecological infrastructure’, which SANBI defines as ‘functioning ecosystems that produce and deliver services that are of value to society’. Above: Signatories to the uMngeni Ecological Infrastructure Partnership MoU representing the City of Durban, SANBI, Wildlands Conservation Trust, Duzi uMngeni Conservation Trust, Msinsi Holdings, UKZN, SAPPI, Ezemvelo KZN Wildlife, WWF-SA, Endangered Wildlife Trust, Umgeni Water, uMgungundlovu District Municipality, Msunduzi Local Municipality, WESSA and Water Research Commission. 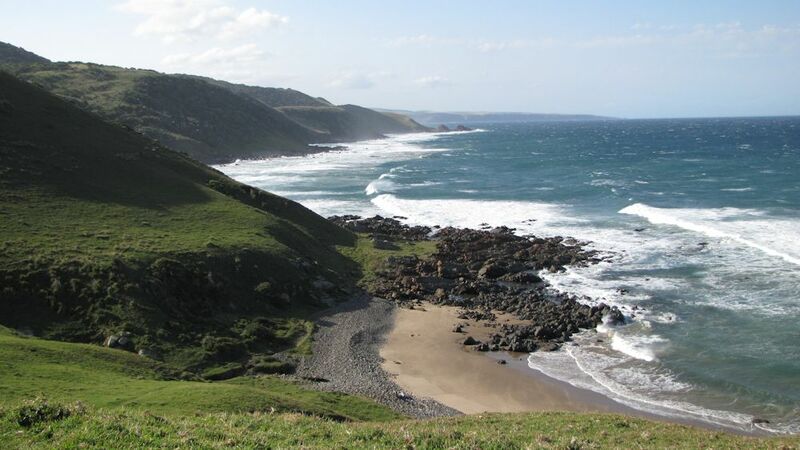 The uMngeni Ecological Infrastructure Partnership was launched at a function at the mouth of the river on 20 November 2013 where a Memorandum of Understanding was signed by 17 of the partners. It is expected that many more partners will still sign the MoU and commit to working together to enhance nature’s ability to deliver vital life supporting services to the people and economy of the region. At the same time it is possible that the conservationists involved in the battle for the region’s biodiversity may be getting closer to winning the war and that in future, we will start to see business UNusual being practiced as a matter of course. 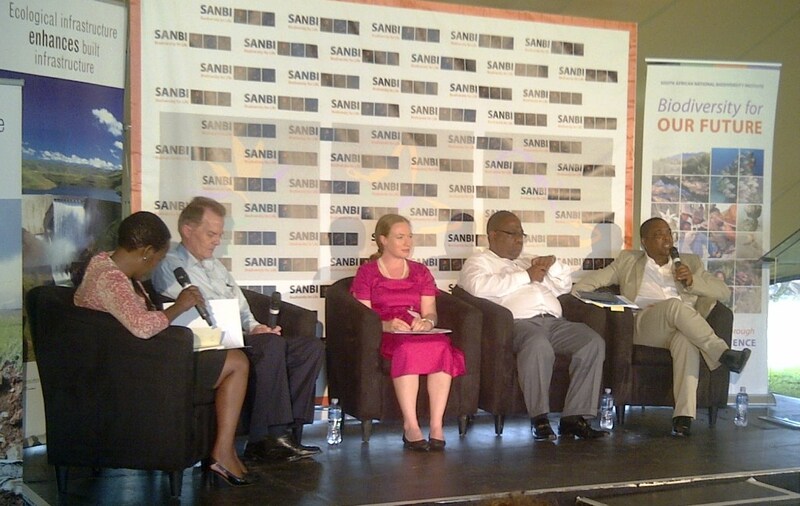 Above: The high-level panel discussion on the value of ecological infrastructure for water security at the launch of the uMngeni Ecological Infrastructure Partnership in Durban on 20 November 2013 with panellists Neil Macleod of eThekwini Water and Sanitation, Kristal Maze of SANBI, Cyril Gumede of Umgeni Water, and Sbu Kozwayo of uMgungundlovu District Municipality. If the partners to this MoU can commit to investing in the ecological infrastructure of the greater catchment, the question begs as to what can be done at the individual and household level. One of the first of the strategies identified by the water service authorities has been to enhance water use efficiencies, and while it is easy to complain about leaking pipes and water mains; there is much that can be done at home. 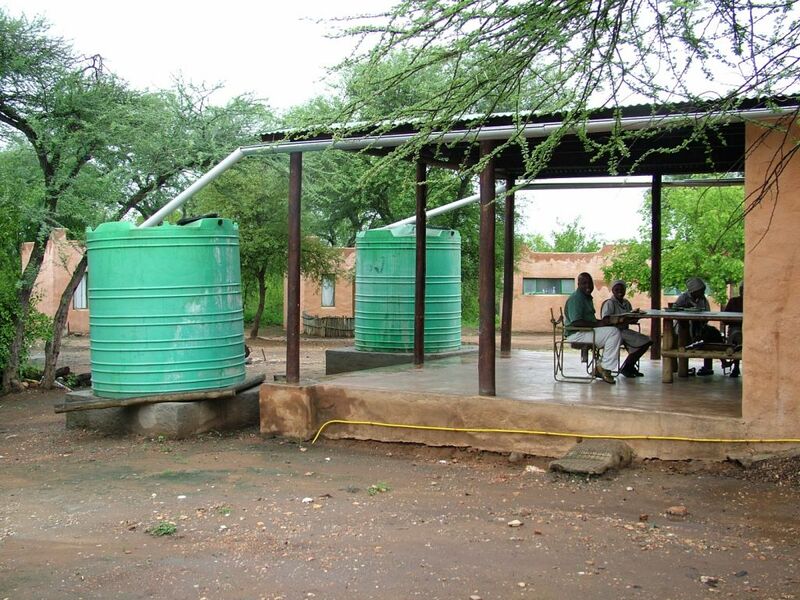 Without going into the long list of usual water saving tips perhaps an illustration of what rainwater harvesting can do may be more effective. 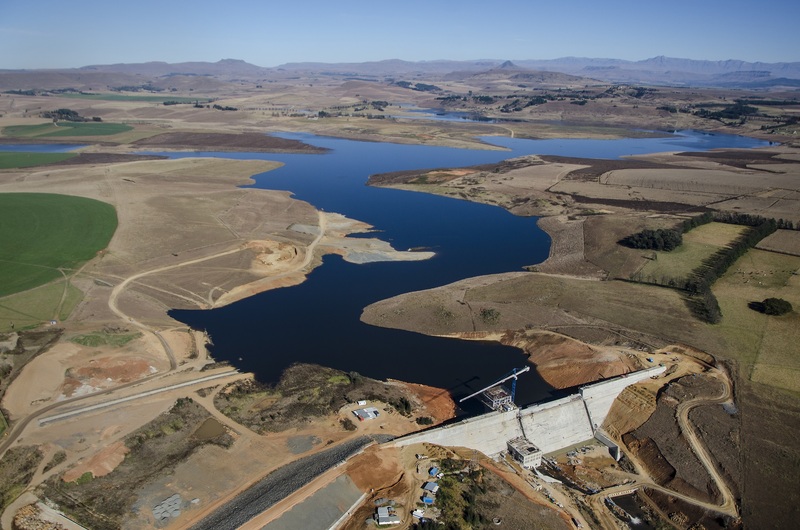 Records show that if rainwater harvesting systems are installed and optimally used by approximately a million middle income households in the catchment, the equivalent volume of water that is stored in Midmar Dam could be saved. Expressed in another way, this could negate the need for the development of the dams that are planned in the Mkomazi River. This entry was posted in Uncategorized on November 25, 2013 by Midlands Conservancies Forum. An outstanding article. An encouraging article. All these activities should push forward the date mentioned till 2075. But I suspect that the Mother Earth will ultimately look after herself. Awareness in this form is vital as we play for time.